Kimberly is offering a $49.95 introductory fully body, therapeutic massage this summer. Regular price is $60.00. Enjoy the comfort and personalized attention at our new facility off N. Academy and Lehman! Call Today or simply inquire by using the contact form button on the side of this page. Your host is Kimberly Olson - Licensed massage therapist in Colorado Springs, CO. Call Kimberly for more on our new location, our services, and our current Specials! Don't wait, call today for the best message and healing experience this side of the Continental Divide! Colorado Springs massage therapy us abundant, but the skill of YOUR therapist and make or break your Colorado massage experience. By choosing the best therapist for Colordao Springs body work, health and healing, you are ensured a Colorado Springs massage experience you will look forward to for years to come. Visit Kimberly today for your pain, aching muscles, lymphatic drainage, prenatal massage, and relaxation today! Welcome To Massage Colorado Springs by Kimberly Olson! A new, complete video presentation is coming this FALL 2014 on our services and specials. Kimberly is here NOW to take care of all your needs, so don't wait - CALL TODAY! "I have been getting massages from Kim for more than 5 years. Kim worked at another spa before she went into private practice and when she made the change I followed her. That is a true testament to what a wonderful therapist she is. I have had nearly 100 massages given by Kim Olson. Over those years she has never disappointed me. I leave her table feeling renewed and refreshed. As someone who has been getting massages for over 25 years, I can honestly say... Kim is the BEST Colorado Spring massage therapist I have had! 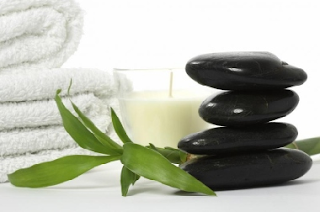 Massage Colorado Springs TM, Colorado Springs, CO - Therapeutic Massage and Beyond! Kimberly Olson is a professional and talented massage and holistic therapist located in Colorado Springs, Colorado. Copyright 2013 - Body Integration Therapies, 6015 Lehman Dr, Colorado Springs, CO 80918. Awesome Inc. theme. Theme images by Airyelf. Powered by Blogger.